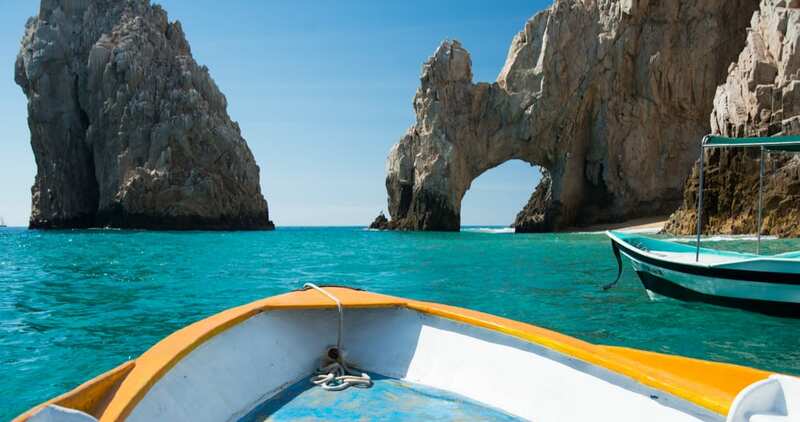 Los Cabos is Mexico’s ultimate vacation destination, with coastline stretching from the Sea of Cortez to the Pacific Ocean, plus 350 days of sunshine per year. This seaside escape at the tip of the Baja Peninsula is an absolute paradise. You will love it if you are a surfer, golfer, diver, or hiker. It is also the perfect destination for relaxation or for dancing the night away. When choosing a resort for your stay in Los Cabos, consider the different vibes of sister towns Cabo San Lucas and San Jose del Cabo. Your probably going to be choosing between the many resorts that sit between these two towns, in what is known as The Corridor. Below we list our favorite Los Cabos resorts for every budget. There are many great all-inclusive resorts to choose from in Los Cabos that won’t break the bank. One of these is Royal Solaris Los Cabos Resort & Spa. This oceanfront resort has a Mexican hacienda style dotted with lush gardens and pools. In addition, you’ll find 4 bars, 5 restaurants, a spa and beauty salon, and dinner shows at Tehuacan Theater. Another budget-friendly option is Riu Santa Fe. Our favorite part of this all-inclusive property is its prime location on El Medano beach. This is a great option for a bachelor or bachelorette party, as it is within walking distance to nightlife. 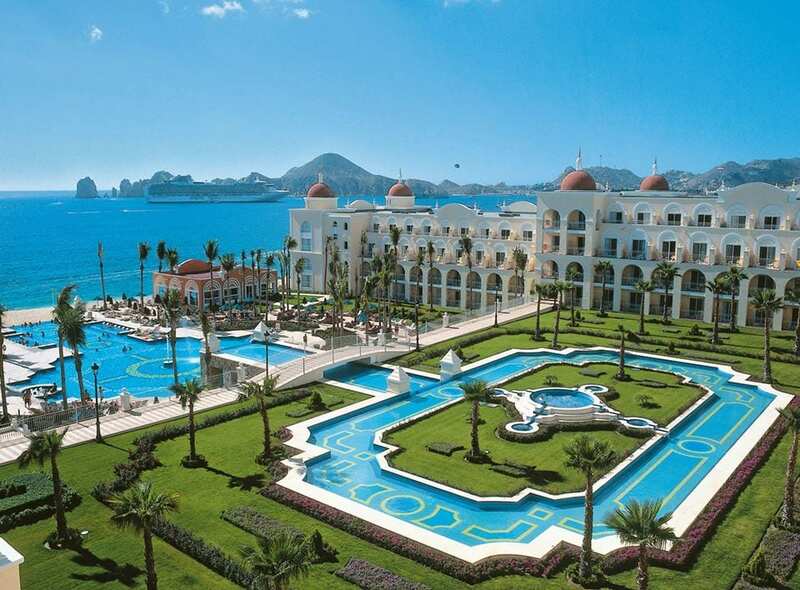 Right next door to Riu Santa Fe is Riu Palace Cabo San Lucas (pictured above). This will run a bit more expensive than Riu Santa Fe, but it has the same great location. In addition, you’ll find more luxurious amenities here. Hyatt Ziva Los Cabos (pictured above) is a family-friendly all-inclusive oasis. Here you will find stunning views of the Sea of Cortez, plus shuttle service to San Jose del Cabo. In addition, this property has 12 restaurants and a luxurious spa. 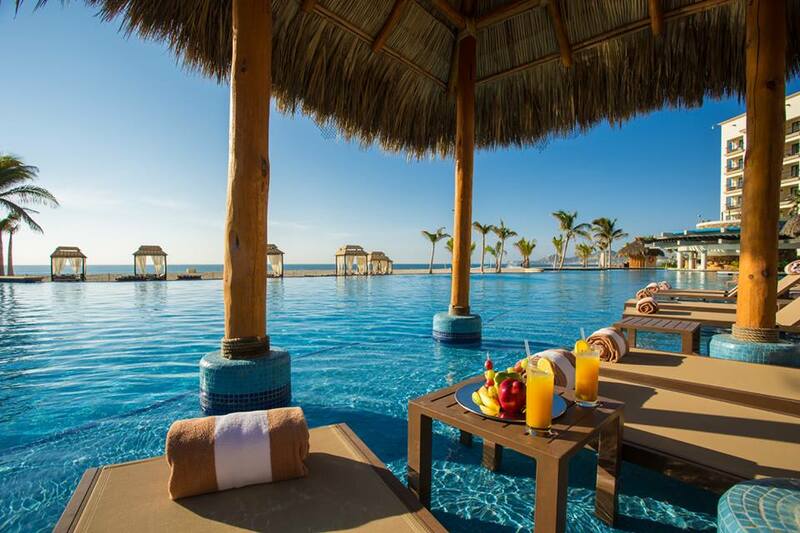 Another mid-range option is Pueblo Bonito Rose Resort & Spa. The prime focus at this resort is relaxation and it is the perfect setting for an elegant romantic rendezvous. Our favorite part about this resort is that it is all-suites that include kitchenettes and deluxe amenities. Los Cabos is definitely not lacking when it comes to uber-fancy hotels and resorts. Two of our favorite budget-topping all-inclusive properties are Le Blanc Spa Resort Los Cabos and Grand Velas Los Cabos (pictured above) .I had the opportunity to stay at Le Blanc for their grand opening in March, and it absolutely did not disappoint. It was by far the most luxurious resort I have ever stayed at! Grand Velas is one of the best resorts in all of Los Cabos. The property itself is beyond stunning, will gorgeous architecture and Mexican artwork throughout. The suites here have a unique indoor-outdoor living design, and the food absolutely cannot be beat.